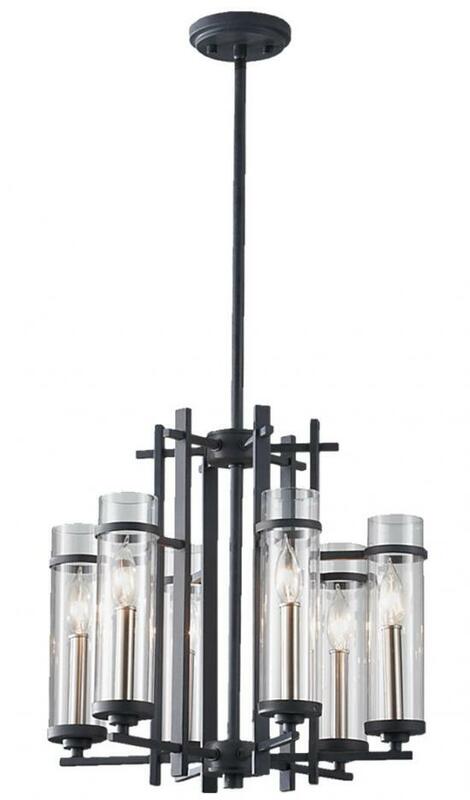 Measures 18" D and 17.25" H, uses 6 60-watt candelabra lights (not included) Forged iron/brushed steel Finish, weighs 14 lbs. Includes ceiling plate and mounting hardware. Chandelier is UL listed.